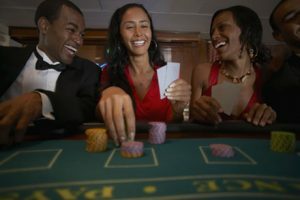 Our DIY casino games come with or without croupiers. Wherever you are in the UK, we can still provide a casino entertainment package. 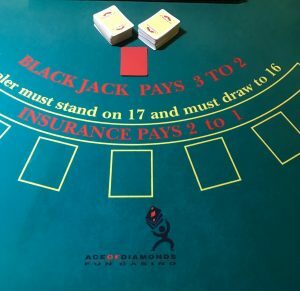 We provide all the casino game accessories such as Roulette wheel, casino chips, cash chips, cards, cardholders, casino fun money, game rules & how to set-up etc. The only thing we do not provide is genuine casino tables. You provide the tables and we will lay our genuine casino baize on top of the table/s. With the authentic gaming accessories that we provide as part of this package, your event will be transformed, adding excitement and glamour. Have fun being the croupiers’ yourselves, or hire the professional croupiers from us! All DIY casino games can be collected or delivered by our couriers. We have lots of packages to suit all types of events and budgets check out our special offer and package deals page. Wherever you are in the UK, we can still provide professional croupiers to attend your event. Will guide the volunteer croupiers on how to become the croupiers themselves, before the event takes place. 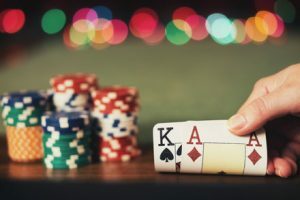 He will assist your volunteer croupiers with the casino games and will be on hand to support at all times on the night of your event to ensure efficient management from start to finish.